You will need yarn in one or more colors, a large blunt needle and cardboard such as cereal boxes or similar and scissors. 1. Cut 2 rings out of cardboard. You can cut the rings any size you like according to your needs. The larger the outer ring is, the larger the pom pom will be. 2. Cut a long piece of yarn. Fold it in half and thread the two ends through the needle. 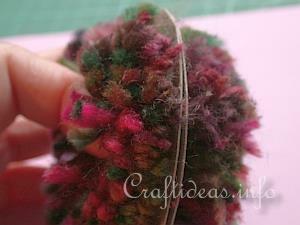 Pull the loop of the yarn through the hole and insert the two ends through the loop and pull tight. This will secure the yarn on the cardboard rings. Start wrapping the yarn through the ring. If the yarn runs out, continue with a new piece securing the finished ends while wrapping. You may also change colors at any time. TIP: If your needle has a large eye, instead of using just one piece of yarn, you can use several simultaneously if you are in a hurry. 3. Continue until you have thickly covered your ring. 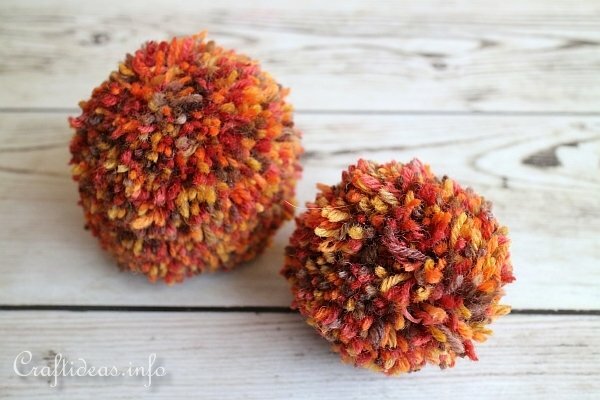 The more you have wrapped your yard around, the more thick, full and heavy your pom pom will be. 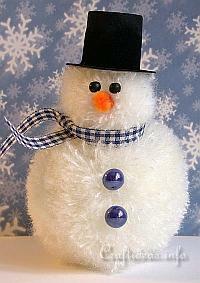 For this particular pom pom, this is the point where we stopped wrapping. 4. Now take a pair of sharp scissors and cut the yarn between the two rings along the outside edge. 5. This is how it looks when you are finished. 6. 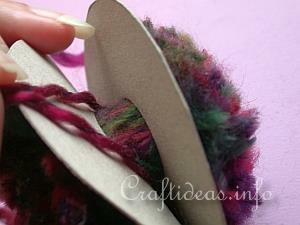 Take a separate piece of yarn and now insert it between the two rings to hold the pom pom yarn in place. 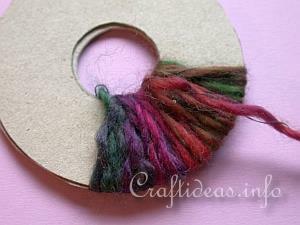 Tie the yarn in a knot and cut away the cardboard rings. 7. 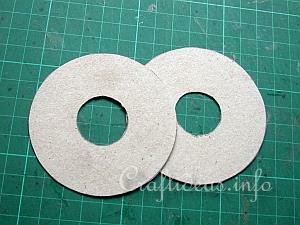 If you want a perfect circle, you can trim away any pieces that are too long with a pair of scissors. 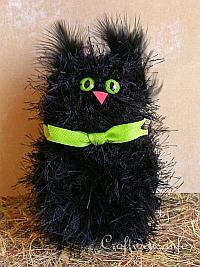 This is the finished pom pom. 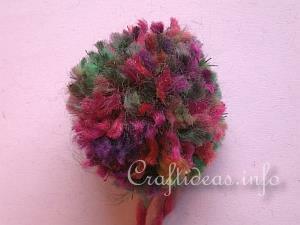 These pom poms were made using left over sock yarn.